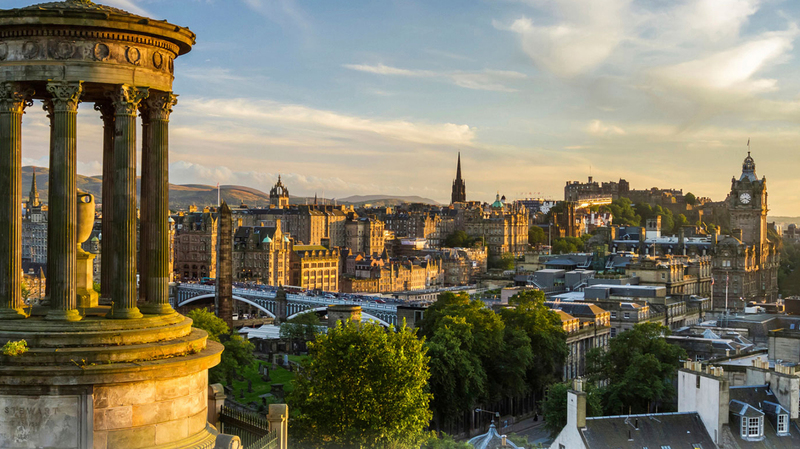 Search for the best flight prices from Stansted to Edinburgh. Compare prices, book today and save money with Stansted Airport. The seamless entwining of the old and new makes Edinburgh a highly sought after destination with visitors exploring the vibrant history, enthralling landscape and thrilling social calendar throughout the year. The city also boasts the highest number of Michelin-starred eating spots than any UK city outside of London and in addition to a long list of local attractions, including world-famous whisky distilleries Edinburgh also plays host some of the most famous literary, art and cultural festivals in the world. Edinburgh lays claim to having the most Michelin-starred restaurants of any UK city outside London, so fine dining options are not in short supply. Enjoy the local ingredients at the superb Castle Terrace (33-35 Castle Terrace), and the Scottish meat and fish at The Grain Store (30 Victoria Street). Wander away from British cuisine and sample the excellent examples of Indian, Thai and Japanese restaurants. Bring it right back to Scotland’s most famous thirst-quencher, and head to The Albanach (197 High Street) to try one of their 250 malt whiskies. Celebrate the birth of national poet Robert Burns with lashings of food, drink and song. Enjoy haggis and a good old knees up each January. Part of the Edinburgh Festival that adorns the city each year, the International Festival celebrates the performing arts with a prestigious concoction of theatre, opera, dance and classical music. The Fringe is the world’s largest arts festival. Hundreds of shows take place on any given day encompassing theatre, comedy and street performance. Some 200,000 spectators flock to the iconic Military Tattoo each year to observe a spectacular showcase of military ceremony, complemented by fireworks and dancing. You'll struggle to find a more famous New Year’s Eve party the world over. Hogmanay brings thousands of people together on the streets of Edinburgh to enjoy the carnival atmosphere lit up by live bands, dancing and of course fireworks, plus the un-missable midnight rendition of Auld Lang Syne.